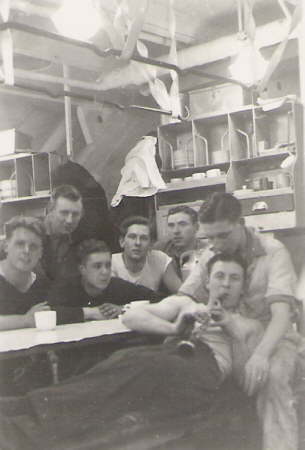 Mess deck aboard HMS. Vengeance. 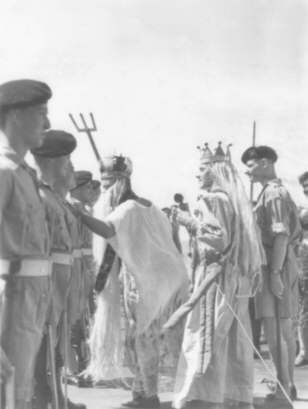 Persons, date and messdeck location unknown. 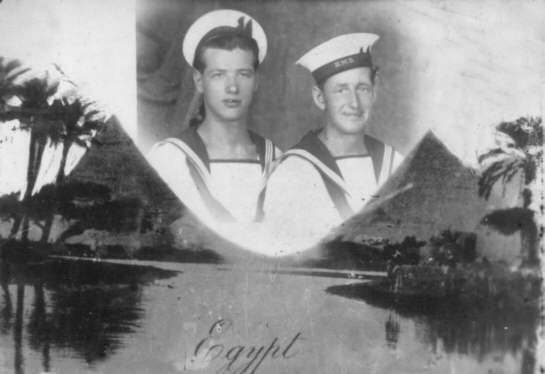 Air Repair Harry Tyler and Fred Metcalf in a 'picture postcard' from Egypt. Radar Operator Johnny Heron, taken Monday 4th June 1945. 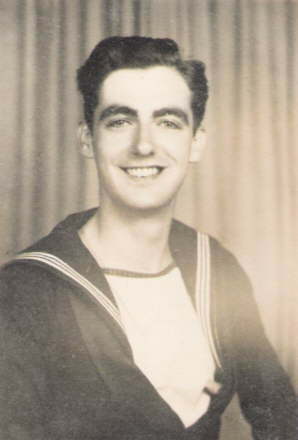 Petty Officer in Ceylon 1945 (name unknown). 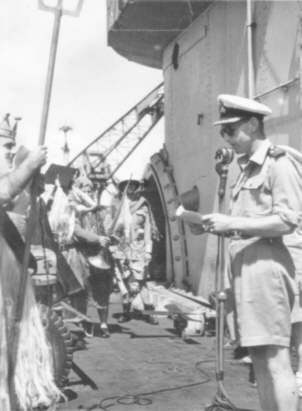 Captain Neame on HMS. 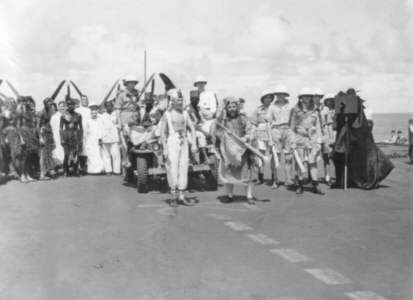 Vengeance, announcing the "Crossing of the Line" on the 9th July 1945. 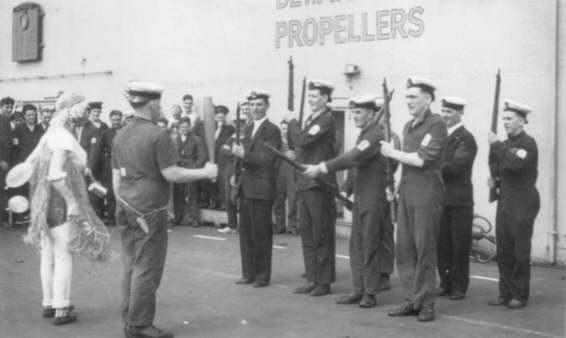 Crossing the Line Ceremony, with Royal Marines HMS. Vengeance, 9th July 1945. 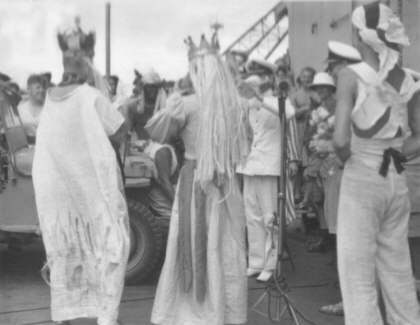 Crossing the Line Ceremony, King Neptune arriving by Jeep, on HMS. 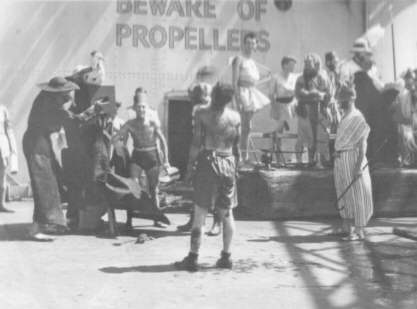 Vengeance, 9th July 1945. 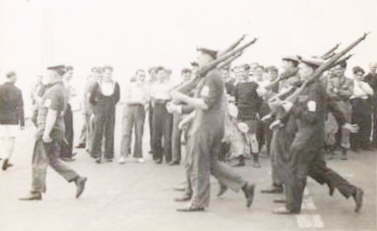 Crossing the Line Ceremony, HMS. 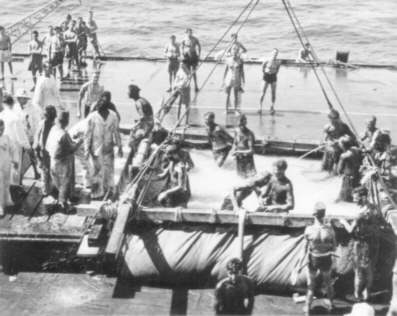 Vengeance on the 9th July 1945.